Decorate a living room with crosses by creating a sentimental display that mixes cherished crosses with other special keepsakes. Start by collecting the special crosses you plan to use. 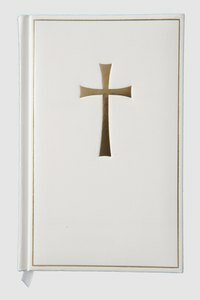 Examples of crosses with special meaning include a cross used in a marriage ceremony, a cross received as a Baptism gift or a cross given as a gift from a special friend or family member. Pair the sentimental crosses with related mementos. For example, a framed copy of a wedding announcement with a cross used in a marriage ceremony; a typed and framed excerpt from a Bible verse read during a Baptism ceremony; and a framed photograph of a person to hang near the cross received as a gift from the person in the photo. Hang the sentimental pairings of crosses and mementos together to decorate the living room. This can be done by making one large display or several small groupings on the walls. Employ a different approach to your desire to decorate a living room with crosses by using them as a large wall collage. Gather all the crosses you would like to include in your display. Ideally the crosses will be in various sizes and made from various materials as this combination will create the most interest in a wall collage. Even crosses very similar in size and material (such as all wooden crosses in the collection) can be arranged in a visually attractive display. Determine the wall upon which you would like to create your collage. Because this collage will be a large and somewhat busy display, it is best to choose a large wall that is otherwise unadorned. Choose a shape for your collage. This will be the invisible perimeter of the collage inside of which you will arrange the crosses. Determine the size of the collage that will work best to contain all of your crosses, and record the measurements. Plot out the collage by marking off the size and shape of the collage on the floor with a string. Practice arranging the crosses in various positions inside the area you have marked until you find the best arrangement of the crosses. Record your final arrangement on paper noting which cross should hang where so you will have a blueprint to follow as you hang your crosses. Hang the crosses on the wall following the final arrangement recorded on paper. Consider asking for assistance as you plan how to hang your crosses. You will gain greater perspective if someone else can hold the crosses against the wall as you look at them from across the room.